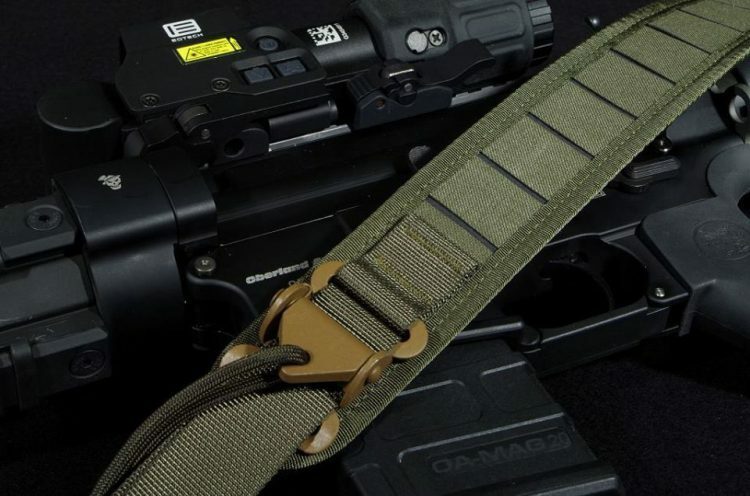 MD-Textile Releases the Gunfighter Sling. 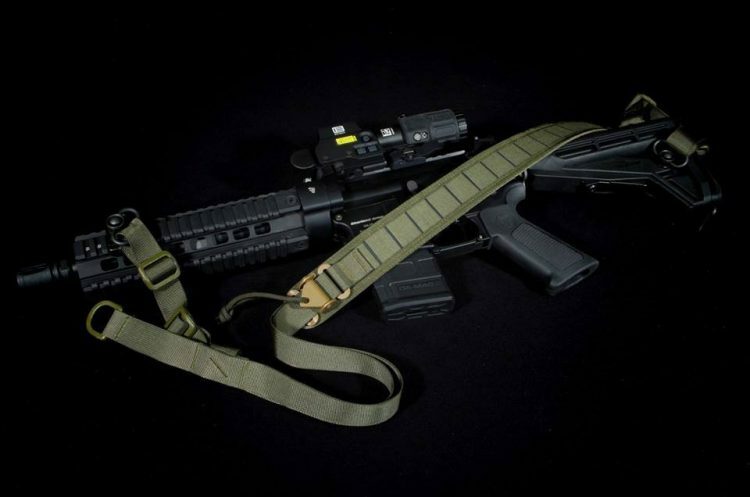 The Gunfighter Sling is a fast-adjustable 2-point belt with a light padding. The 43mm wide padding consists of the top of cordural laminate and is padded with a layer of anti-slip rubber. Thanks to the 30mm wide slots, Molle pockets, etc. 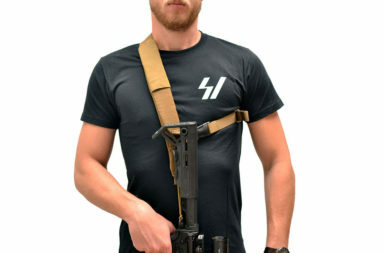 can be attached to the strap. 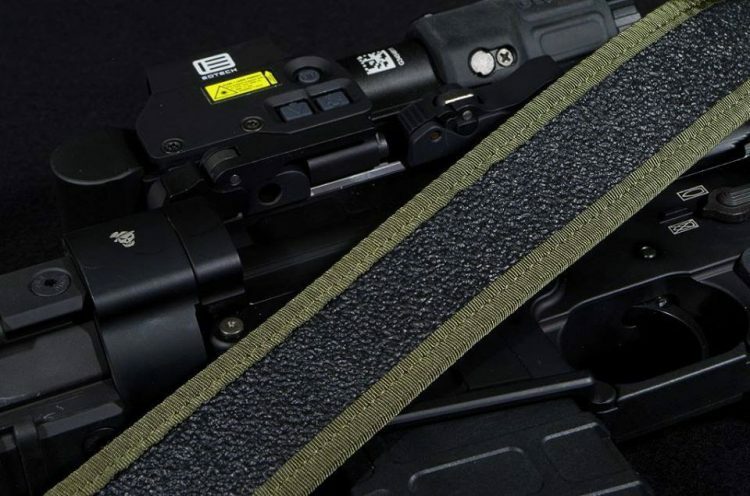 Due to the edging band at the edges and the rounded tips, the cushion slides easily on the equipment while the straps are unloaded (weight of the weapon) when the strap is released. On the front is an ITW quick adjustment, which allows the weapon to be safely pulled to the body and re-released in seconds. 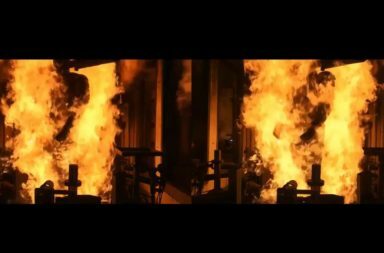 In order to achieve maximum flexibility and freedom of movement, the rear part of the cushion is decoupled via a D-ring and can thus compensate for different angles for different types of wear. The belt strap lengths are very generous and can be shortened if necessary with scissors and lighter. 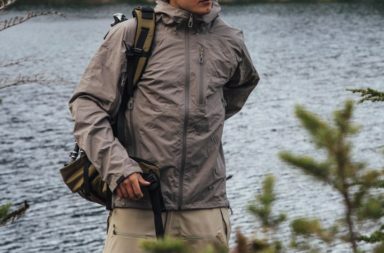 The arms can be attached directly to the weapon by means of the two triangles on either side of the weapon belt, or can be equipped with optional accessories such as H & K carabiners, paracord adapters, QD grommets etc. 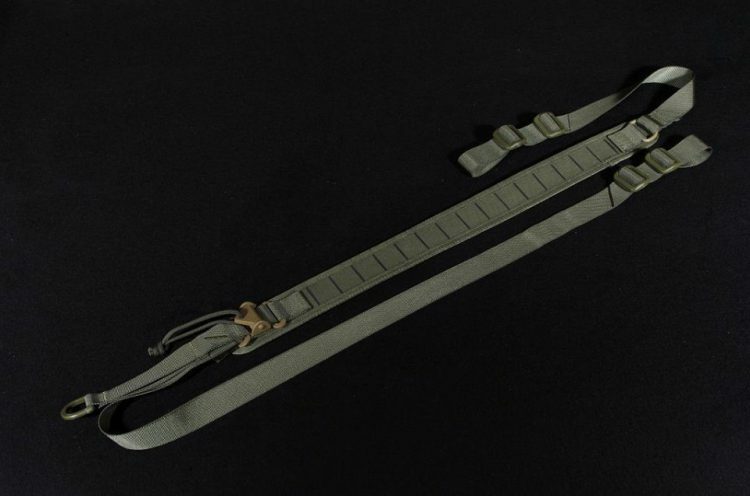 The MD-Textile Gunfighter Sling is “Handmade in South-Germany”, which 5-year warranty.